The third and final starting flight of the Main Event has concluded and it was Denis Sapozhnikov who had the most productive day. 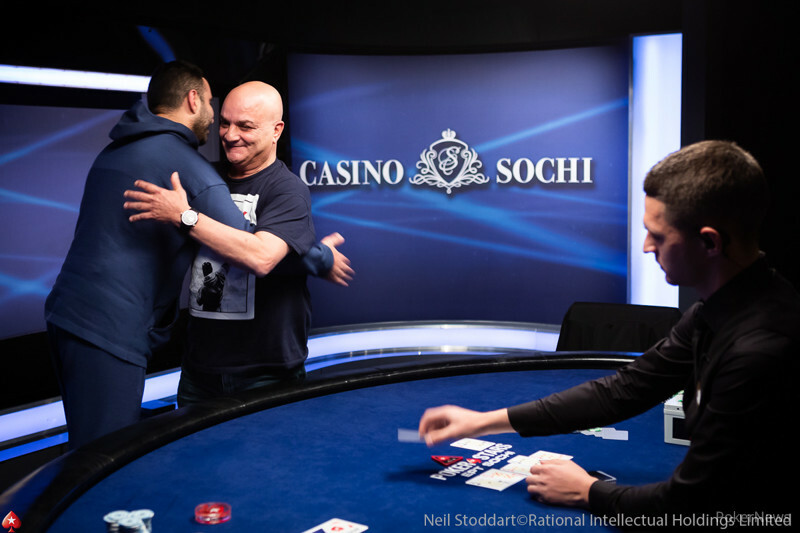 His impressive run began with a bit of good fortune when Sapozhnikov got it in with jack-nine suited on a nine-high flop against Mikhail Galitskiy's pocket-queens. He hit a backdoor straight by the river and the pot saw him take the chip lead, sending Galitskiy to the rail in the process. This all happened in Level 4 and for the next six levels, he didn't relinquish the lead once. There were 82 entries in total and by the end, half were still standing when level ten reached its conclusion. 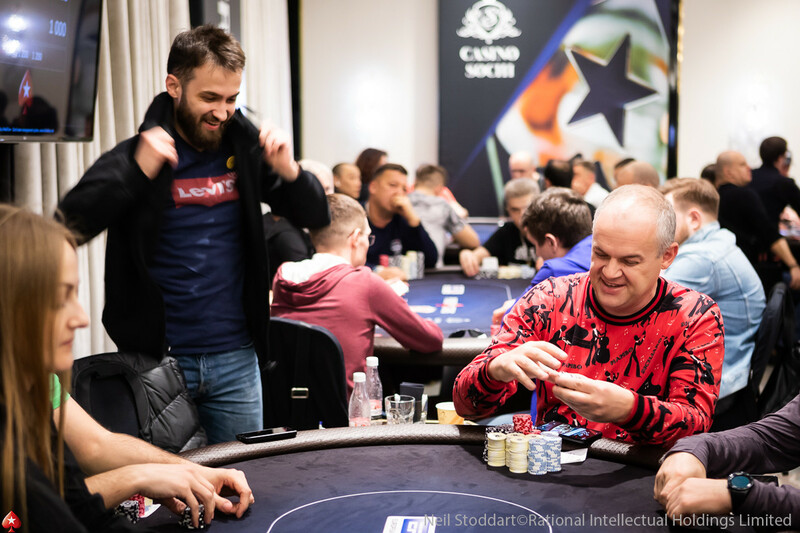 The other biggest success stories of the night were Sergey Chaban (163,000) who finished in second, Yang Wang (153,300) in third, Andrey Andreev (124,300) in fourth and Garik Tamasyan (124,300) bagged the fifth largest stack. There were several other familiar faces who took to the felt and made it through to Day 2. Reigning Champion Arsenii Karmatckii (78,100) will return tomorrow to continue defending his title. He will face stiff competition though from Sergey Baburin (63,700), Konstantin Puchkov (60,800), Volodymyr Drokin (56,800), Jean Souprayenmestry (49,500) and Maxim Panyak (33,800). It wasn't good news for all the notables who took a seat today. Sedrak Bagdasaryan got very close but busted in the last hand of the night. Jia Tang, Ezequiel Waigel, Ariel Malnik, Mikhail Kovalyuk, Gor Kazaryan, Bernard Boutboul and Timur Azizov were some of the casualties. It may not be the last we have seen of any of them though as late registration closes when Day 2 gets underway. That gives any hopefuls one last shot if they so choose. They will join everyone who made it through from Days 1a and 1b at midday tomorrow to continue their campaign. The total number of players who have advanced is 306 plus any last minute registrations. The man to catch is Aleksandr Denisov who is the overall chip leader with a monstrous 498,600 chip stack. Play resumes at Level 11, with blinds at 800/1600 and a big blind ante of 1600. As always PokerNews will be live at Casino Sochi to bring all the latest news from the Main Event from start to finish.